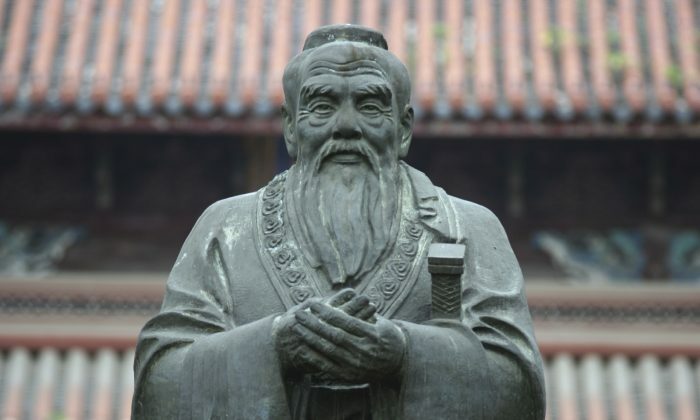 Despite being perhaps the single most influential individual in traditional Chinese and East Asian culture, Confucius has gotten a bad rap in modern times. The great teacher and philosopher is often dismissed as a symbol of oppression, conformity, and sexism. In this narrative, the teachings of Confucius made way for the social ills China is saddled with today, from human rights abuses to pervasive corruption. Things are no better in China, where the most common understandings of Confucius are colored and distorted by decades of Marxism, which regards Confucius as a reactionary villain whose ideas hindered China’s progress. These interpretations reflect years of alienation from traditional culture, which was severely damaged by totalitarian persecution. Here are four common myths about Confucius, along with what’s wrong with them. Perhaps the most fundamental misunderstanding about Confucianism is that it promotes oppression. This view takes issue with the teaching of filial piety, whereby children must respect their parents and elders, and subjects must respect their rulers. Because the teaching espouses hierarchy, it is assumed that Confucianism must be authoritarian and dictatorial. Some China experts have even sought to argue that Confucius’s influence is why modern China lacks the human rights and freedoms enjoyed in democracies. But to equate hierarchy with oppression is to oversimplify what Confucianism truly taught. While Confucius believed people occupied different social roles, he did not discriminate against individuals based on their status. Everyone, “from the Son of Heaven to the common folk,” he said, was held to the same moral standards. Furthermore, it was the filial duty of the subordinate to defy the wishes of his superior (whether employer, father, or older brother) when it was clear that the instruction was wrong. Confucius held that if a king, minister, or parent did not have his own mistakes pointed out to him, he would bring his family or empire to ruin. “To merely obey the father’s commands—how can this count as filial piety?” Confucius said. 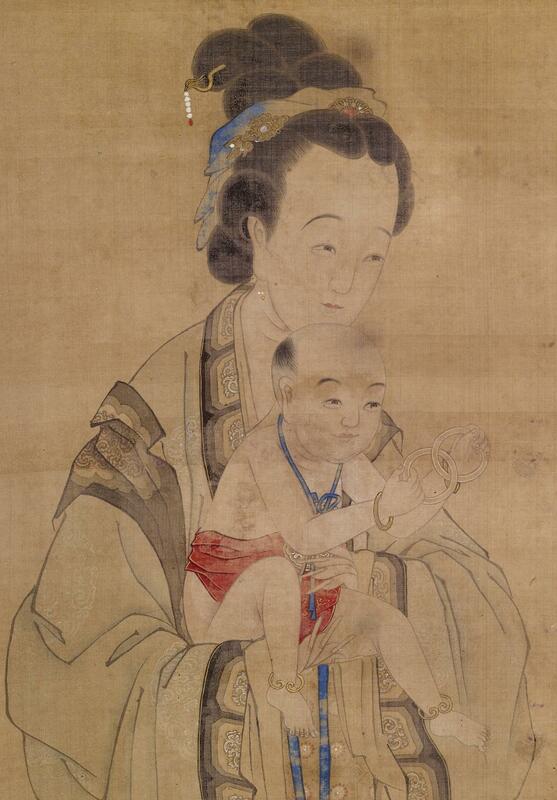 For Confucius, the role of the monarch and the parent was not merely to lord over his subjects and children, but to educate them with virtue. These values were what made a nation truly great because they would enable people to behave virtuously even without being told what to do. But a look at the ancient form of Chinese that Confucius used shows that the character “yu,” often understood as “and,” in fact means “to give” (as in for marriage) in this usage. What Confucius thus meant was that an awkward situation arises when a female relative marries a person of low character and accordingly one is obligated to include the person in the family. As for foot-binding, it first appeared only in the Song Dynasty of the 10th century, about 1,500 years after Confucius had died. Even then, the prominent (and oft-criticized) neo-Confucian scholar Zhu Xi condemned it as a barbaric perversion, and many emperors tried to have it eradicated. In trying to understand why China lagged behind the West in political and technological development in the 19th and 20th centuries, Chinese scholars took to blaming Confucian teachings for the corruption and nepotism that is still common today. However, just as Confucius was no proponent of blind obedience, nor was he given to promoting the welfare of the family above all else. For Confucius, the entire nation was a big family subdivided into nuclear families. Chinese heroes such as the tragic general Yue Fei have been depicted making tough decisions between service to their immediate kin or to the well-being of the empire, and choosing the latter. For Confucius, the ends did not justify the means. Instead of following base desires and material greed, a man worthy of respect was formed by adhering to ritual and faith in principles. “The superior man is not a tool,” he said to his disciples. In China, corruption and other maladies are often blamed on the “low quality” of the Chinese people, a notion often used in politics to justify the lack of democracy and human rights. Confucianism, already consigned to an unwanted past as primitive and backward, is included in this national self-denigration. For thousands of years, Chinese held faith in the “three traditional religions,” among which were Confucianism, Buddhism, and Daoism. 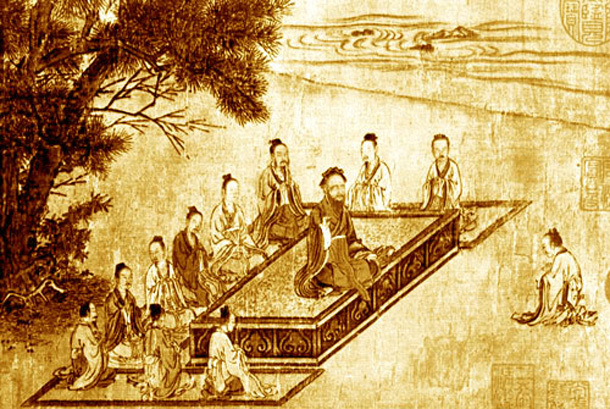 While Confucius, as a philosopher of social and family ethics, was chiefly concerned with worldly affairs, he and his teachings were nonetheless closely connected to the more cryptic thoughts of the Taoist cultivators. Lao Zi, who left behind the primary text of Taoist thought, the “Tao Te Ching,” was greatly revered by Confucius, who likened the venerable sage to a sublime dragon. 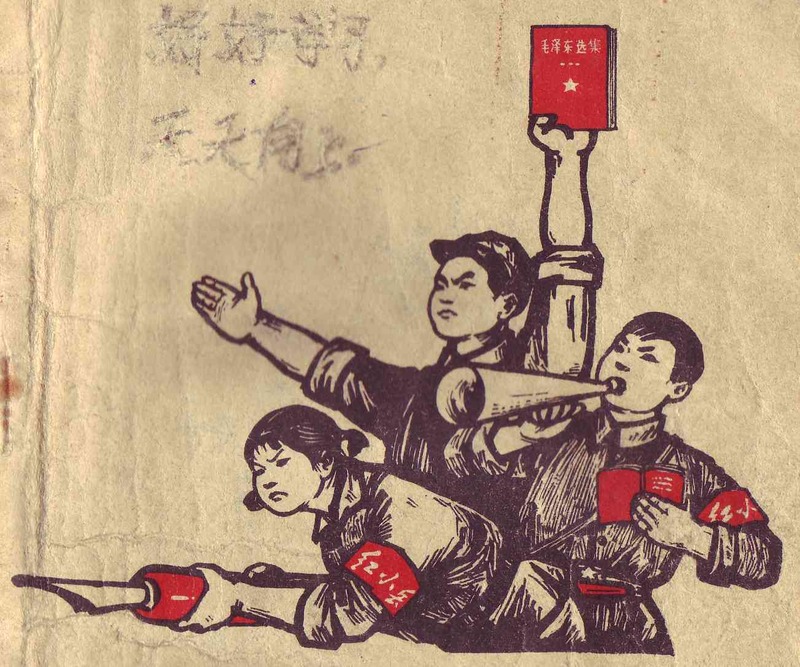 However, under the rule of the Communist Party, Chinese were indoctrinated to hate and belittle all religious faiths and ancient philosophies as “feudal superstition.” Through violent campaigns, millions of people were persecuted or killed for their convictions, and countless ancient relics and buildings were destroyed. Today, while the Communist Party no longer overtly pursues the destruction of traditional culture, it has sought to redefine what is left to conform to its own ideology of Marxist materialism. Citing a few vague passages from Confucius’s conversations with his disciples, modern Chinese scholars often claim that Confucius himself was anti-spiritual and even a nonbeliever. One such quotation is, “I do not speak of unruly gods or strange powers.” But taken in context, the line does not show Confucius disapproving of religion. 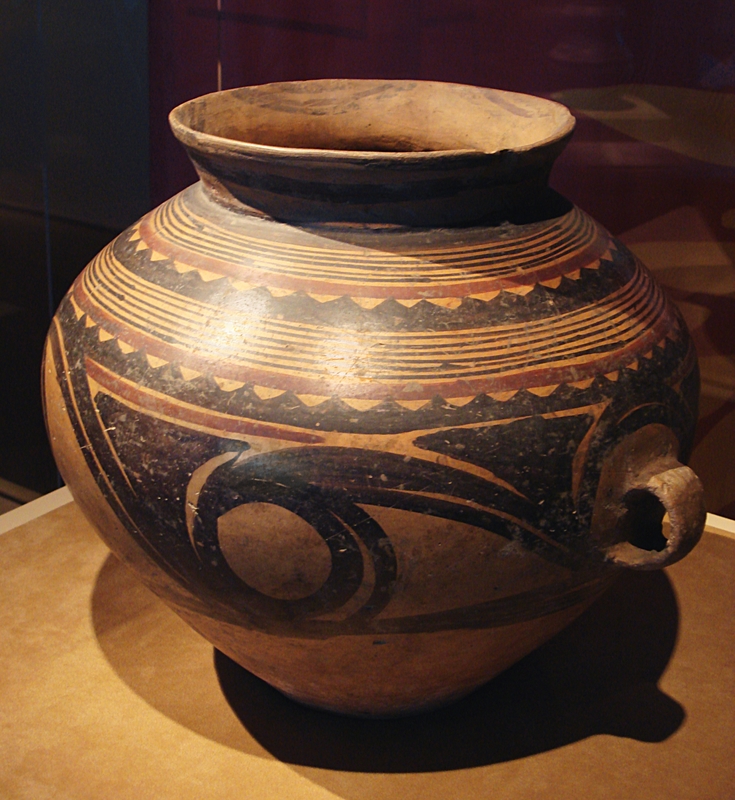 Confucius made many statements endorsing the ancient religious beliefs of the Zhou Dynasty and lamented that they had fallen into neglect by his own time. He also compiled the “Book of Odes,” a collection of poems in which the strong faith of the Zhou people resonates throughout. In Confucian thought, one of the central virtues is that of propriety, also translated as ritual. These were the religious customs and ceremonies that Confucius had hoped to revive and which he hoped would remind people of the divine.